EARN $1 FOR EVERY $10 YOU SPEND! Redeem your Herbein’s Bonus Bucks and use them for up to 1/2 OFF a future purchase. The maximum amount of Bucks that can be used during the redemption period can be no greater than 50% of the total pre-tax price. 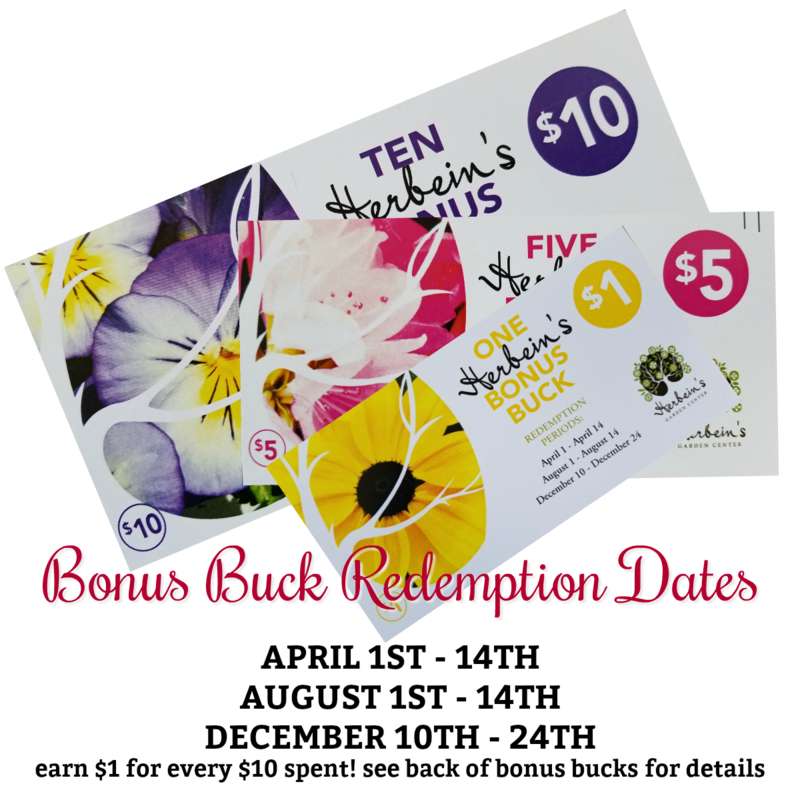 Herbein’s Bonus Bucks cannot be used towards sale items, gift certificates, returned purchases, deliveries or labor services. Herbein’s Bonus Bucks are promotional coupons and carry no cash value. Lost Herbein’s Bonus Bucks cannot be replaced or honored. All Herbein’s Bonus Buck purchases are final sale.